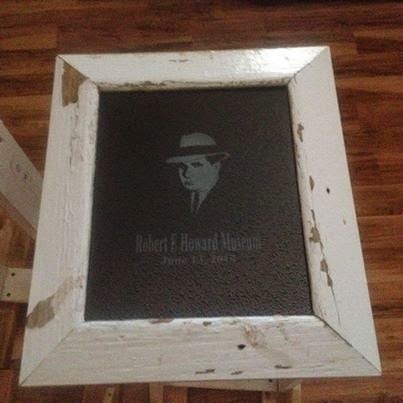 Robert E. Howard Days: Now THIS is a Silent Auction Item! "While doing some repairs to the REH Museum, we saved some of the original siding, and a glass pane from Robert's bedroom. Shirley Petty Clark used her remarkable talent to do the etching of Robert on the glass pane, and I made the frame from the siding. This will be one of the items for the auction during the banquet on June 13th, 2014. A must have item for a Robert E. Howard fan." Thanks go out to Larry and Shirley! The bidding is sure to be fast and furious for this wonderful piece. 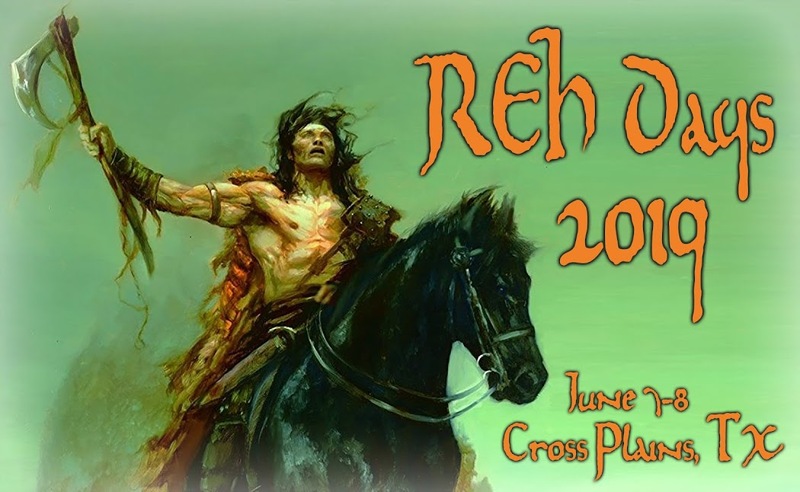 Remember: 100% of the proceeds from the Silent Auction go to the upkeep of the REH Museum! But - you can only bid if you are in attendance at the Celebration Banquet. One of the perks for showing up in Cross Plains for The Best Two Days in Howard Fandom!